Please welcome my new friend Jillian Dodd to Getting Over the Hump Day. Many of you know Jillian from our MANday challenge this summer. 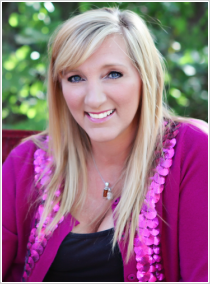 For those of you who haven’t met Jillian yet, she’s a YA author who’s had tremendous success with her books That Boy and That Wedding. Thanks to Jillian for giving us her advice on getting over the hump. 1. Go for a drive. I roll the windows down, crank up the music, and drive with no where in mind to go. When I do things 1-4, I always have my phone handy. Many large chunks of my books are written on a notepad in my phone. I then email it to myself and load it into the manuscript I’m working on. Number 5 is when I start talking it out. My mom reads all of my works in process, and she’s great at giving me the hard truth when something isn’t working. When Mom and I talk, we basically are brainstorming. Throwing out other ways that the story could go. Other ways the characters could react. I’m also in a great writer’s group that has a very unique way of working. We help each other brainstorm and sometimes that’s what a writer really needs. Another perspective. Some wild ideas. Things that open my brain up and get it out of the tight focus that it’s been in. For some reason, that allows my mind to come up with the answers it’s been searching for. What about you? What sorts of techniques do you use to get your mind ready for writing? Jillian Dodd grew up in Nebraska, where she developed a love for storytelling, Husker football, and Midwestern boys. She currently resides in Texas with her family. Glitter, Bliss, and Perfect Chaos. 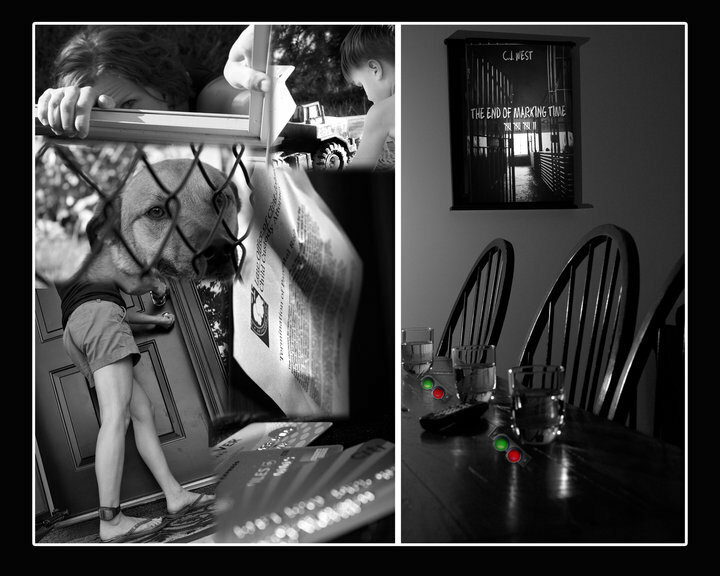 A portion of the proceeds from all Jillian’s books are donated to charity. Manday Week 8 Women Go Crazy for Good Abs! I’ve gotten a bit off track in the last two weeks. And I want to share my progress, but first I need to tell you about something I learned at poker. Last Wednesday I sat next to a mild-mannered older woman, about seventy years old. We were playing No Limit Hold ‘em and she has trouble with her hands, so I was dealing when it was her turn. We all know each other pretty well and this particular woman sometimes needs help knowing which chips to put in. She’s meek and goes along with the game. She rarely talks and when she speaks, her voice is very soft. I get the sense she’s there to liven up an otherwise boring Wednesday night. About an hour into the game she lost her chips and it was time for her to go. The image was hilarious. The woman is very short, large, and forty (maybe fifty) years older than the guy she was talking to. He is buff and quiet himself. All he could do was smile until she left. I tried to find a pic that reminded me of them. If I wasn’t sitting directly across from her I never would have believed it. We laughed about that for an hour, but it taught me a very important lesson: ALL WOMEN Love Abs! Guys, take it to heart. Go visit #plankaday! Ladies, remember if you want to help Jillian, comment on my MANday challenge. On a more serious note, my workouts have been suffering the last two weeks. A few of you sent messages this week wondering where last week’s MANday post was. I wasn’t sure what to write last week because I had two setbacks. First, I hurt my back doing some intense ab exercises. I have lost two weeks of planking because it took that long for my back muscles to return to normal. My back issue is nothing serious, I just stressed the muscles a bit too much. They are better now. The second problem isn’t going away quite so easily. I’ve developed a stomach ulcer and I’m in pain most of the time. I ran once this week and I’m doing some upper body work, but I’ve had to really limit my ab workouts because I don’t want to aggravate the problem. I’m also sleeping more to give my body a chance to heal. I feel like I’m on track for the photo on July 14 but at this point in the contest I wanted to be pushing the workouts hard. Unfortunately, I can’t do that right now. If you stop by facebook or Twitter and are wondering why I’m not there, I’m probably fishing, trying to relax and get my stomach back into shape. Since I know how much you ladies love abs, I’m going to share some in this post. Enjoy! And don’t forget to share your workout progress with me. MANday Week 6 – Am I Too Skinny? A very cool thing happened this week. I was so excited I tweeted, but then what I got back was a shock. First lets back up. I’ve been working out for six weeks to show abs for MANday. All I’ve been hearing for six weeks is “show me some abs.” The thing about abs is that they’re relatively small muscles smack in the center of a man’s number one fat collection area. So, if you want to show abs, you’ve got to get skinny. Not just kinda skinny, really skinny! If you look at those guys on Jillian’s MANday features, you can’t see an ounce of fat anywhere. David Beckham is a good example! Imagine my excitement this week in the middle of my six mile walk when a guy pulled over and called me Dave. My cousin Dave lives about two miles away. He’s tall and really thin. Until recently no one would confuse us. I wasn’t heavy, but I’m pretty solid. Nice! I started thinking women can never make up their minds, but that’s probably not the case. It’s more like a moving target on the road to change or another example of men being from Mars. You can’t dispute that those guys on Jillian’s page are buff. Whatever the case, with 44 days to go until my photo, I’m transitioning to more heavy work. I took on two jobs that will help me get in shape. I’m going to do some landscaping and replace a stockade fence. That will help. I’m not going to bore you with my running progress. I’m running and feeling great. One thing that did surprise me… I worked four hours the other day helping my dad. It was pretty heavy work. When I was done, I ran four miles and even then I felt great. I’m starting to believe running is a miracle drug. I’m loving it. My plank work is still lagging. I just can’t seem to get revved up about planks. I’m not giving up, but I’m not a planking superstar. If you want to find one, visit #plankaday on Twitter. Before I go I want to give a shoutout to two ladies who have been really helpful on Twitter in the last two weeks. Show some love to @Roselover24 (Sue), who has been telling everyone she knows to comment on the MANday page! My new friends Judith and Ellen, who go by @ILoveYAFiction, have been really helping to spread the word and having some fun sharing snarky comments on Twitter at the same time. What have you been doing this week? C’mon tell me. I know you didn’t spend the whole week on the couch. 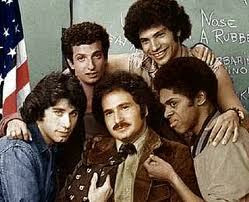 Remember the Sweat Hogs on Welcome Back Kotter? They were always watching the clock. Never paying attention. They were slackers. Losers. What if I told you watching the clock is a good thing? In my MANday preparation this week, clock watching has been a tale of the good, the bad, and the ugly. I’m breaking new ground on the road. Last Friday I ran 4 miles in 44 minutes. I was ecstatic about that until Monday when I ran it in 43:35. This morning I set a new personal best at 41:35. I shaved off an entire two minutes! I felt great going out this morning and I knew I’d do well, but I didn’t expect to do that well. Watching the clock and pushing myself is really helping. I noticed two things this week. Most of the time I run with short strides and pace myself so my heart doesn’t explode. Last Friday as I ran the last mile, I opened up my strides and really pushed to beat my time. I ran most of that mile with long flowing strides, much faster than normal. Today I noticed something else. When I started my breathing was really labored. I was “huffing and puffing” as my cousin described it. She said she could hear me coming. Sometimes I could taste blood. Don’t you hate that? Well, today, I was breathing easy except when I pushed up a long climb. I was taxing myself and really struggling. I think that was the time I was really increasing my endurance. That push really counted and I pressed so hard because I was watching the clock. If running is helping me shed fat to find my abs, planks, bicycles and the like are helping me define them so there is something to see once the fat is gone. I fit right in with the Sweat Hogs (how appropriate) when it comes to ab work. I hate doing abs! I need to spend more time doing planks and bicycles. I’m doing planks every day, I just really need to do more of them. The @plankpolice have busted me twice for not posting. I really need to pay more attention to abs. That’s my goal next week. I did a favor for a friend this week and she gave me a chocolate bar. Not a dinky little chocolate bar. 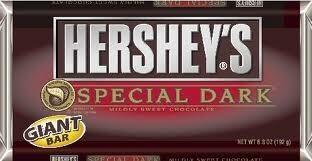 A massive Hershey’s Special Dark. That was the road to ruin. I ate three this week! Enough already. Next week no chocolate. If you see me going to Lloyd’s to get some, help me out and block the door! My running times are improving by a significant margin and that tells me I have more improvement to come. I’m targeting between 36 and 40 minutes for my 4 miles. That’s somewhere between a 9 and 10 minute mile. I’m not sure how respectable that is to real athletes, but it is a vast improvement from where I started. I have some news to share. I have set a date for MANday photos. Assuming Jill comes through with 5,000 comments (you can take mercy and help her), my good friend Sue has agreed to take some photos of me when I visit her family in Maine. Some of you May know Sue and her mother-in-law Nancy from my Facebook page. That’s all for me this week. What have you done on the road and on the mat?